One hundred years ago, President Woodrow Wilson signed the National Defense Act of 1916 establishing the Reserve Officers’ Training Corps. Throughout the following century, the U.S. and its Army faced numerous challenges both at home and abroad. Wars against despotic foreign governments were fought and won; economic depressions endured; medical, scientific and technological advances were made; and U.S.-led peacekeeping operations contributed to greater global stability. At U.S. Army Cadet Command, we take great pride in the role our ROTC graduates played in virtually every aspect of life during this critical time period. Since ROTC came into existence on June 3, 1916, over 600,000 men and women have earned a commission through the program. Among them are two chairmen of the Joint Chiefs of Staff, seven Army chiefs of staff, two Cabinet secretaries and a sitting Supreme Court associate justice. Few other military commissioning sources can claim such significant lineage. We are commemorating the 100th anniversary of ROTC in special ceremonies at the Pentagon and Fort Knox, Ky., as well as on our university campuses. Yet while 1916 is the official birthday of the program, its origins can be traced back at least a century earlier. The ROTC story really begins in 1819 with Capt. Alden Partridge, a former superintendent of the U.S. Military Academy at West Point, N.Y. Capitalizing on his experience, Partridge established the American Literary, Scientific and Military Academy in Norwich, Vt. It was there that Partridge’s method of producing “citizen-soldiers” first took root. The institution, now known as Norwich University, continues operating to this day. Capt. 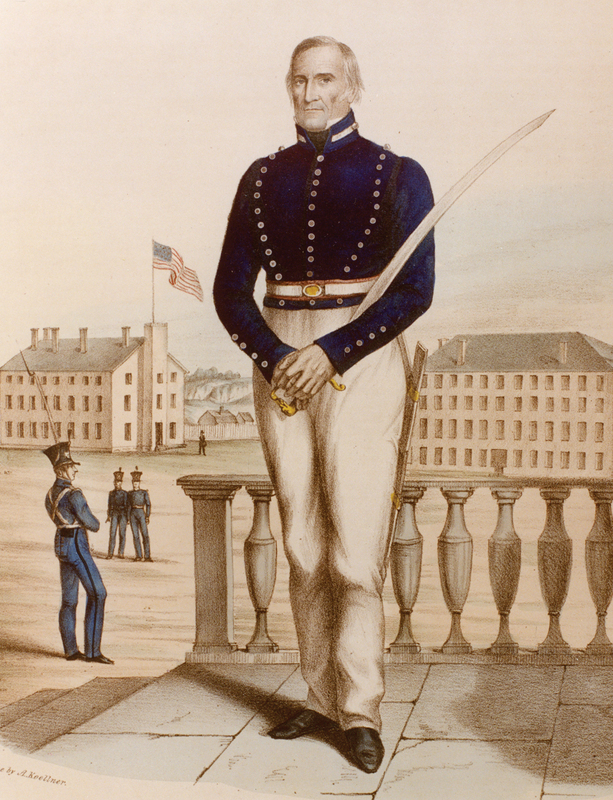 Alden Partridge established military training at what is now Norwich University, Vt., in 1819. Partridge advocated a process through which able-bodied men would receive military training while attending civilian institutions of higher learning. The benefits to the nation would be multifold. A cohort of trained military leaders would be available on short notice whenever the need arose. But when circumstances did not require their service in uniform, they would be free to pursue civilian occupations. The merits of Partridge’s approach soon became evident, and a number of other American academic institutions began to operate along the lines he advocated. Between 1819 and 1861, several other schools focusing on military instruction were established. These included Lafayette College, Pa.; Oak Ridge Military Academy, N.C.; Kemper Military School and College, Mo. ; and Marion Military Institute, Ala. By 1840, Indiana University and the University of Tennessee had added compulsory military training as well. The state-supported Virginia Military Institute and The Citadel, S.C., also commenced operations during this period. The Land Grant Act of 1862, championed by Vermont legislator Justin Morrill, represented the next milestone in ROTC’s history. Under its terms, each state received 30,000 acres of public land to establish institutions of scientific learning. In return, these land grant colleges were to offer military tactics courses. Graduates of these institutions, along with those trained on other campuses, would ultimately fight in both the Union and Confederate armies. 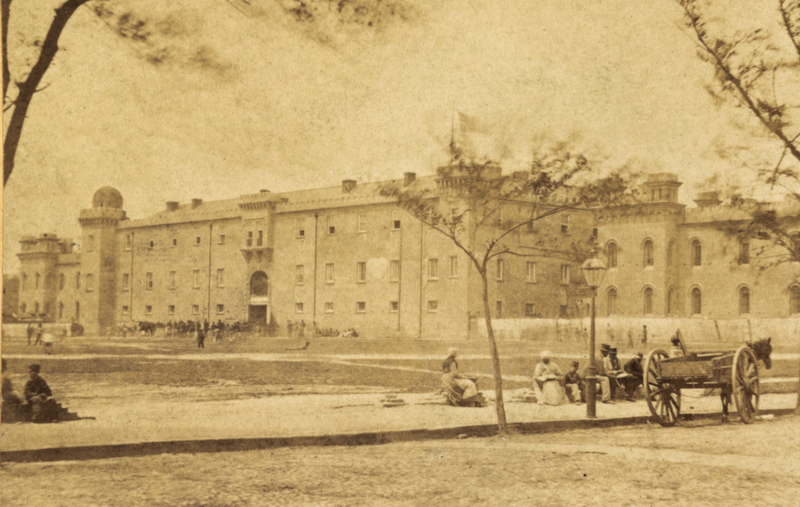 The Citadel was founded in 1842 as the Military College of South Carolina. The Confederacy’s surrender in 1865 did not mark the end of efforts to incorporate military instruction on college campuses across the growing nation. A total of 105 colleges and universities across the country were offering military training by the early 1900s. The next key development in ROTC’s history became known as the Plattsburg Movement, named for the camp in upstate New York that was established to train civilian volunteers on military preparedness. As fierce fighting raged between the Central Powers and the Allies, a group of prominent Americans formed this preparedness program. These pro-Allied community leaders believed our Army was too small to be effective if America was drawn into World War I. In the summers of 1915 and 1916, they facilitated the establishment of additional camps to train potential Army officers. By the end of 1917, more than 17,000 men had trained at these camps. A volunteer regiment-in-training at Plattsburg, N.Y. 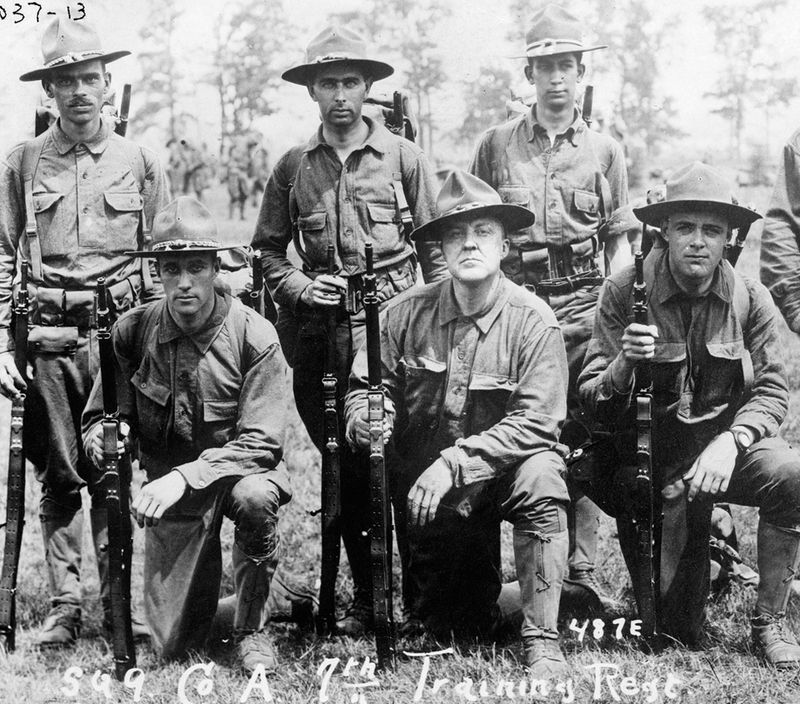 Subsequently, the National Defense Act of 1916 yielded Army ROTC units closely resembling the college-based Cadet Command formations of today. Many premier academic institutions such as Harvard, Yale and Princeton universities and Dartmouth College petitioned for military commissioning units. World events outpaced America’s ability to commission large numbers of officers through on-campus training for World War I service, however. By 1920, Army ROTC production totaled only 133 officers. President Herbert Hoover reviews ROTC cadets at the White House in 1929. By 1947, America had rapidly demobilized with the surrender of Nazi Germany and the Imperial Japanese government. But Soviet aggression and an armed conflict in Korea quickly spurred renewed interest in ROTC. The ROTC Vitalization Act of 1964 solidified ROTC’s role as the primary source of active-duty Army officers, and the program of instruction for Army ROTC became more closely aligned with a college education than ever before. Scholarships were made available to qualified cadets, and monthly stipends were offered. All of these factors were expected to broaden the popularity of the program on campus. Challenges to the requirement that all male students at land grant institutions enroll in ROTC surfaced at virtually the same time. The national debate on U.S. involvement in Vietnam also contributed to an uncertain future for ROTC. Young men had faced compulsive military service throughout the Cold War years. Deferments granted to students enrolled in college-level ROTC increased the attraction of the program. That situation was altered when Congress initiated a draft lottery system that did not feature draft deferments to ROTC cadets. The draft ended in 1973 and as might be expected, total ROTC enrollment declined significantly. 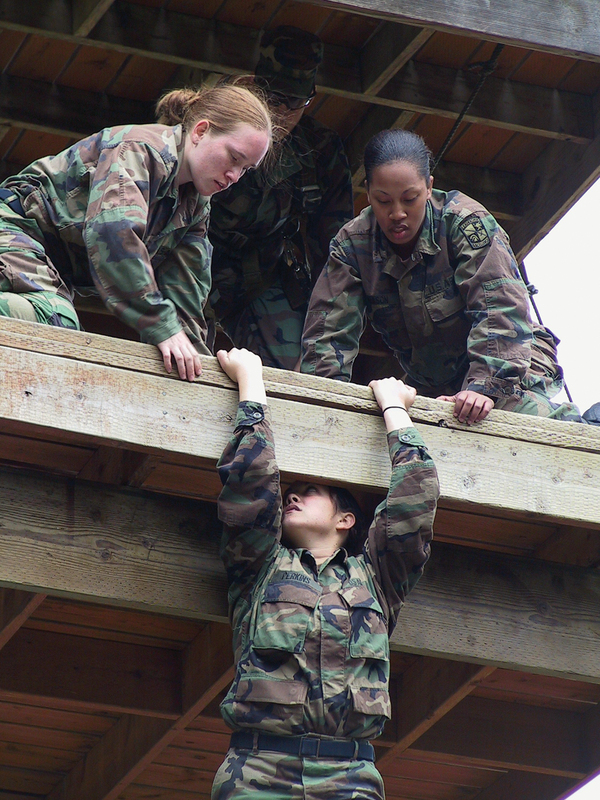 But under a pilot program, women became eligible to enroll in Army ROTC in the 1972–73 school year. The pilot program proved successful and in short order, the program was commissioning female lieutenants. Cadet Command’s establishment in 1986 at Fort Monroe, Va., was a true milestone in ROTC’s long history. Under Maj. Gen. Robert E. Wagner, the new command assumed responsibility for over 300 college-level Army ROTC units, four regional headquarters, and Junior ROTC programs at over 800 high schools. Under Wagner’s leadership, Army ROTC was totally transformed into a centralized command producing top-quality lieutenants. 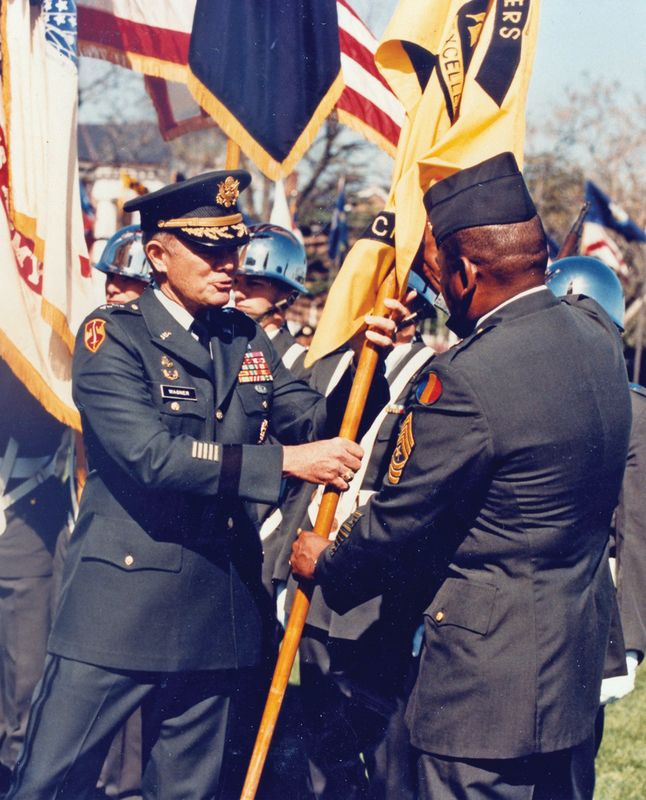 Maj. Gen. Robert E. Wagner, left, accepts the U.S. Army Cadet Command colors from Sgt. Maj. Calvin Foster during the ceremony marking the command’s formal activation in 1986 at Fort Monroe, Va.
Army ROTC, which is run by the U.S. Army Cadet Command, is the main source of officers to the U.S. Army, providing 70 percent of the new lieutenants in each year’s cohort. These officers come from the 275 colleges and universities that host Army ROTC programs as well as hundreds of other schools that “satellite” off the host programs. ROTC comprises both training and education. On-campus classes and leadership labs focus on a variety of topics involved with teaching officership. Off-campus training includes a mandatory, 29-day training cycle over the summer at Fort Knox, Ky., called the Cadet Leader Course. A cadet normally attends this between his or her junior and senior years. Cadet Initial Entry Training, also conducted each summer at Fort Knox, provides a 28-day training experience for cadets and students who missed some or all of the freshman and sophomore Army ROTC classes. Cadets negotiate an obstacle during Army ROTC Advanced Camp.. Final preparation for commissioning involves training in topics such as officer and NCO efficiency reports, counseling, military law, supply and property accountability, financial management, the military decisionmaking process, and the Army awards system. Cadets also go on at least one staff ride during their cadet career. Cadets also have the opportunity to participate in Cadet Professional Development Training. This can include Airborne School at Fort Benning, Ga.; Air Assault School at Fort Campbell, Ky.; Mountain Warfare School in Jericho, Vt.; or Combat Diver School in Key West, Fla. Some also complete Cadet Troop Leader Training, in which a cadet visits an active Army unit anywhere in the world other than a combat zone and gains three to four weeks of experience as a “third lieutenant,” filling an officer slot. In addition, cadets fill internships at various locations including the National Ground Intelligence Center in Charlottesville, Va., and at the Pentagon. A recent addition to training opportunities is the Cultural Understanding and Language Proficiency Program, which immerses a cadet in one of more than 40 countries for a period of one month. Junior ROTC at the high school level, created at the same time as ROTC, comprises 277,000 students at 1,645 secondary schools. It also falls under Cadet Command. The main thrust of JROTC is good citizenship, though some JROTC cadets go to the service academies and college-level ROTC programs, and some join the armed forces as enlisted members. JROTC is a four-year program that teaches topics including the three branches of government, first aid, communication skills, land navigation/orienteering and physical fitness. Cadets also have the opportunity to compete against other JROTC units in Raider Challenge competitions. These involve physical tasks such as an obstacle course, and mental tasks such as a map-reading test or problem-solving exercises. Some of the most visible parts of JROTC are the drill teams and color guard, with many JROTC units presenting the national colors at their school’s home athletic events. During their summer break, selected JROTC cadets participate in Junior Cadet Leadership Challenge camps run in a variety of locations across the nation. The camps last a week, with structured adventure and leadership events to push and develop the cadets. Army ROTC serves its purpose well in future officer preparation. All in all, Cadet Command is succeeding in producing quality officers to make up a majority of the Army’s officer corps and training high school students to be better Americans. Lt. Col. Greg Lane, USAR Ret., is an Army ROTC staff member at Austin Peay State University (APSU), Tenn. He commanded twice at the company level and served on battalion- and brigade-level staffs in the continental U.S. and overseas. He has a bachelor’s degree from The Citadel and a master’s from APSU. In those same remarks, Bush highlighted retired Gen. Colin L. Powell, a graduate of the City College of New York Army ROTC program, who was then serving as U.S. secretary of state. Bush shared with the audience Powell’s personal reflection on his time in ROTC. Those thoughts speak volumes about the lasting benefits of ROTC. Powell said, “The order, the self-discipline, the pride that had been instilled in me by ROTC prepared me well for my Army career or, for that matter, any career I might have chosen.” Powell’s affinity for ROTC also extended to the high school Junior ROTC program. He was the driving force behind its major expansion during his tenure as chairman of the Joint Chiefs of Staff. 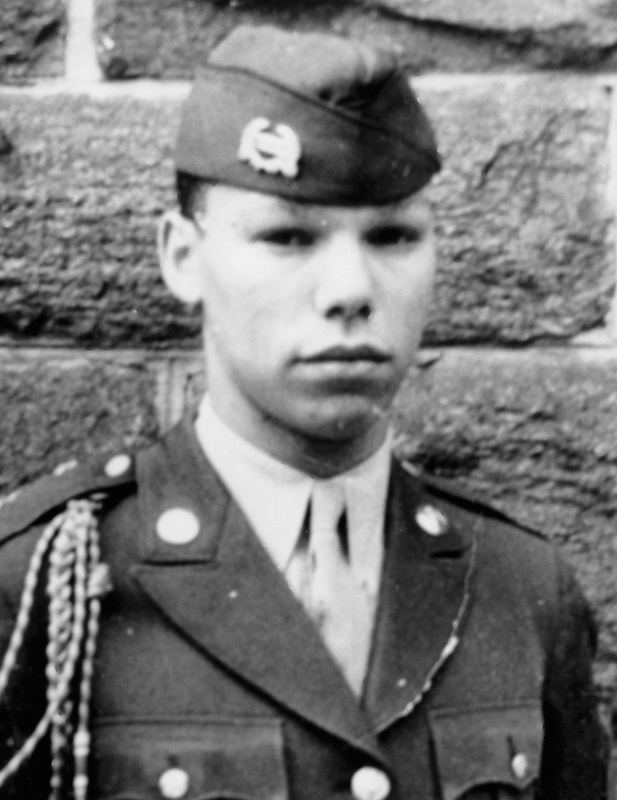 Then an ROTC cadet, Gen. Colin Powell, USA Ret., was commander of the guard during training at Fort Bragg, N.C., in July 1957. Cadet Command has continued refining its training methodologies and the leader development process in recent years. In 2014, all collective ROTC summer training was consolidated at Fort Knox. In a departure from the past, new hands-on training opportunities are now available to all cadets. Graduates must be prepared to operate in every corner of the globe, so cultural awareness training became a priority. Overseas immersions help prepare ROTC graduates in ways the classroom cannot. These opportunities expose cadets to everyday life in different cultures and also intensify language study. Armed with these experiences, today’s ROTC cadets are well-prepared to assume the reins of small-unit leadership from the onset of their service to the nation. Army Chief of Staff Gen. Mark A. Milley earned his commission through the Army ROTC program at Princeton University in 1980. In recent remarks at his alma mater, he noted America’s Army is powerful because it protects the most powerful idea that ever existed in world history. As we mark the centennial of our program, the Army ROTC community renews its pledge to remain at the vanguard of that effort. Brig. Gen. Sean A. Gainey is the deputy commanding general of the U.S. Army Cadet Command. He has led at the platoon, company, battalion and brigade levels, and deployed in support of Operation Iraqi Freedom and Operation Enduring Freedom. He holds a bachelor’s degree from Georgia Southern University, and master’s degrees from Central Michigan University and the National Defense University’s Dwight D. Eisenhower School for National Security, Washington, D.C.